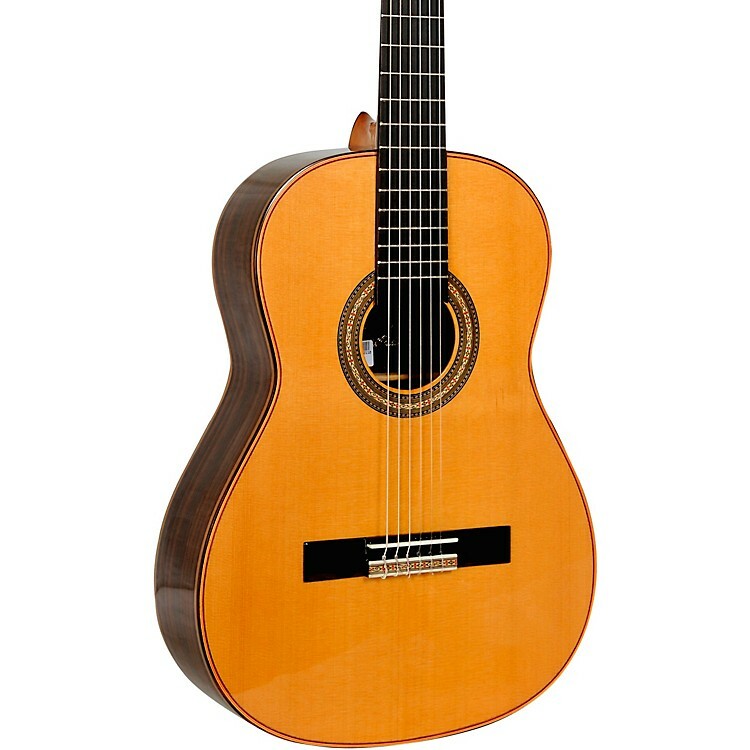 Hand-crafted in Brazil by Giannini's master craftsmen the GNC-6 Professional classical nylon-string guitar features a solid Red Cedar top, solid Indian Rosewood back and sides, Ebony fingerboard and a very comfortable "D"-shaped neck. The GNC-6 has a full, rich sound with crystal clear highs and is an exceptional value for a hand-built guitar. Giannini has been building guitars in Brazil for over 115 years and the GNC-6 continues their tradition of crafting high-quality instruments. Case sold separately. Nut width: 52 mm / 2.04"
Get your samba and bossanova swinging with the right guitar. Order today.